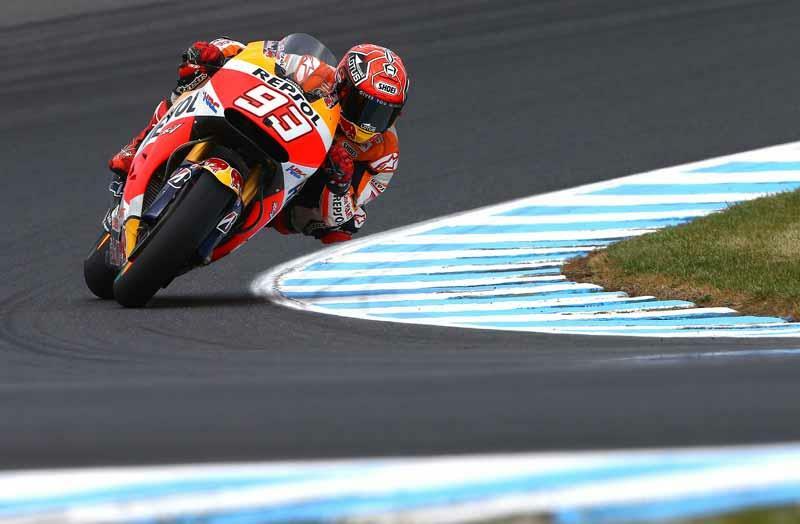 The second day of the Jerez test saw Marc Marquez once again top the unofficial times at the Spanish circuit. With teams electing to run without transponders the times have been taken from their comments to MCN but it offered encouraging reading for Scott Redding with the Englishman second fastest. Marc Marquez was once again fastest despite spending the day focussing on the new spec electronics and trying to adjust them to be closer to the electronics used in 2015. HRC team sources told MCN that at the moment the steps being made are very small with the Japanese manufacturer learning step by step how to use the new software. This is a very typical engineering practice and is used to determine gradual improvement rather than suddenly finding a silver bullet to solve all woes. Redding was pleased with the progress that he has made on the Ducati with the 22 year old telling MCN "I immediately felt more comfortable on the bike here compared to Valencia. I think that spending the time over the last two weeks away from the bike has made it easier. In Valencia because the test comes so soon after the race you are very focussed on what the Honda does but here I was able to feel like the Ducati was my bike and it's been a really positive day." Michele Pirro had a high speed crash at turn 13 but the Italian walked away from it. When seen in the paddock later he had a very noticeable limp but overall he was in relatively good health. The same couldn't be said for Eugene Laverty with the Irishman crashing heavily at Turn 7 and suffering a fracture in his left arm. The injury will necessitate surgery in Barcelona tomorrow.